Hindus, Sikhs and Jains began celebrating Diwali, the Festival of Light. It began with Dhanteras on October 30 in 2016 and moves to the official Diwali on November 1 and 2. 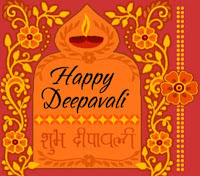 Diwali, also spelled Deepavali, is the Hindu calendar new year. There's lots of feasting, decorating, worship, lighting of diya (lamps) and fireworks. Rangoli are special Hindu designs used in crafts and decorating. Here are free printable rangoli patterns for Diwali. Activity Village has dozens of lovely free printable rangoli patterns. 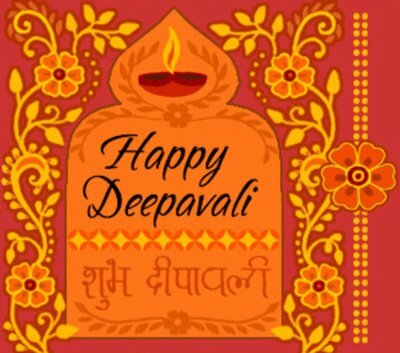 Activity Village also offers free printable Diwali crafts, There are Diwali coloring pages, greeting cards, games, puzzles, money envelopes, stationary and writing paper, bookmarks and scrapbook pages, plus printables for Bhaiya-Dooj the holiday that ends the Festival of Lights. Print Bhaiya-dooj coloring pages and crafts. Diwali Festival has many free printable Rangoli patterns, coloring pages and activities. Kids Gen has easy child-friendly free printable rangoli coloring pages. The Toymaker has free printable paper Diwali crafts including rangoli designs. Best Coloring Pages for Kids has a plethora of intricate rangoli coloring pages to print free. Study Village has loads more free printable rangoli templates. The Holiday Spot offers free rangoli printouts. Use rangoli patterns as stencils to decorate fabric, create murals, or chalk your walks. To design a pretty Diwali welcome sign on your front walk, rrint patterns on zoom to expand. Then trace on sidewalk. Color in design with sidewalk chalk or paint. To give holiday greetings, say "Shubh Diwali!"